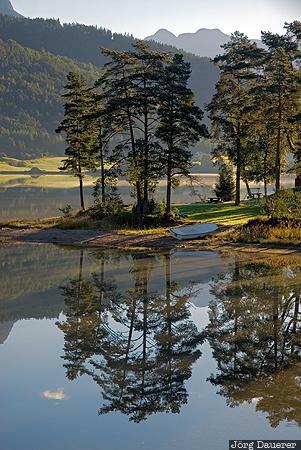 Trees at the shore of Strynevatnet and their perfect reflexions in the calm water of the lake. Strynevatnet is in Sogn of Fjordane in central Norway. This photo was taken in the morning of a sunny day in September of 2010. This photo is part of the exhibition Reflexions (February 2015). This photo was taken with a digital camera.